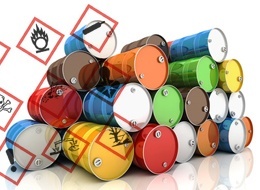 In Germany, the storage of hazardous substances in portable containers is regulated in the TRGS 510. In order to be able to take the necessary measures, in particular the separation in different warehouse sections, if necessary, information about the relevant quantities and their assignment to storage classes (LGK) has to be taken into account. In HSM NAV, there has been an HSM NAV calculation option (i.e., an FCC rule set) for the assignment of one storage class . This is done on the basis of CLP classification and dangerous goods classification, the latter being necessary in particular for LGK 6.2 and LGK 7.